Daniel Horrigan brings sixteen years of distinguished public service to his mayoral position as the 62nd Mayor of the City of Akron on January 1, 2016. His experience in elected office and family legacy rooted in Akron’s North Hill has fueled his vision to move the city forward into the 21st century. During Mayor Horrigan’s first year in office, he led a variety of initiatives yielding several successes including: rebuilding relationships with the United States EPA by meeting with the Director of the Water Enforcement Division the second week of his administration; and working closely with FirstMerit Corporation as the acquisition by Huntington Bancshares was announced. Mayor also followed through on a recommendation by the Blue Ribbon Task Force to create legislation, which was unanimously approved, to amend Charter Section 104 – which gives Mayor the ability to appoint a Human Resources Director. Other successes for Mayor Horrigan during his first year in office included: hosting six town hall meetings within the community and meeting with every high school senior class within the Akron Public Schools, implementing cost-saving reform of retiree supplemental health benefits, securing approval of First Consent Decree Amendment resulting in $56.7 million in CSO savings; securing nationally competitive $5 million TIGER grant to redevelop Main Street and leading successful effort to bring Stark State Community College campus to Akron. Additionally, Mayor was recognized by Cleveland Magazine’s Community Leader Power 100 – List of most influential leaders in NEO. He joined the coalition of Mayors across the U.S. in the Mayors Against Illegal Guns; and in keeping with the Mayor’s vision of having a more healthful community, he partnered with Akron Children’s Hospital-Akron Marathon Race Series, County of Summit and Summit County Public Health to launch a city-wide 100 Million Steps Walking Challenge. With the Mayor serving as the “hare” for the City of Akron team, participants logged in a total of 476,173,811 steps within three weeks of the challenge. As Mayor Horrigan more vividly develops his vision for the City, he will continue to articulate his administration’s top priorities as: Education, income and health. Mayor values - efficiency, effectiveness, transparency, and fiscal responsibility - are the foundational leadership qualities he has relied upon throughout his career. He will continue to take fresh looks at every department to ensure that taxpayers are receiving high quality public services in the most cost-effective, efficient way. He strongly believes the city’s future rests on engaged leadership to provide good jobs and strong neighborhoods. 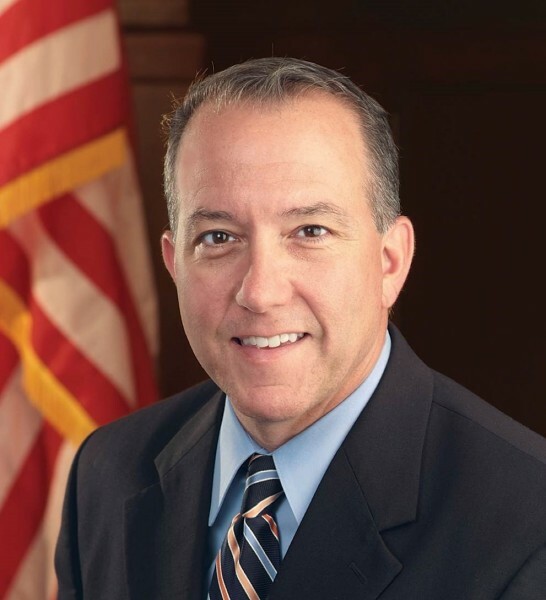 Mayor Horrigan has a Bachelor of Arts degree in Economics from Kent State University and a bachelor’s degree in Education from the University of Akron.